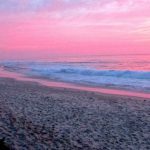 La Jolla has seven continuous miles of coastline, so it comes as no surprise that many couples like to make use of the ocean views and picturesque cliffs when proposing to their significant other! We’ve rounded up a few select locations where you’ll be sure to find good views, though be sure to check the weatherreport for your big day (especially if you’re trying to catch a sunset). Torrey Pines State Park has a wide variety of places to propose at. There’s a gorgeous beach, as well as several vistas and stopping points through the hiking trails too. Get your pick of a proposal set against a cliff overlooking the sea, a beach, or some dramatic rocky tundra. Whatever you do, it will certainly be scenic. Bonus points if your first date was a hike at Torrey Pines! 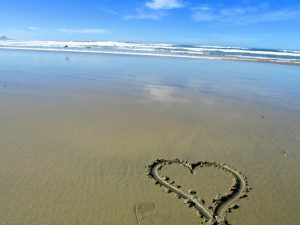 If you want a quiet and scenic beach to propose on, Windansea is a good bet. Windansea beach is much less busy than La Jolla Shores so you’ll get fewer people wandering into the background or distracting you. The distance from the sand to the water is not as long as at other beaches so if you were hoping to hire a surreptitious photographer to catch the moment, they may have to work harder to find a place to hide. There’s the classic Windansea Surf Shack to take cute kissing pictures under. If you plan it right, you can probably Catch a killer sunset too. Gliderport has several scenic areas including cliffs, ocean overlooks, and good flat areas for a romantic picnic. There’s usually at least a mild breeze up here, so be aware of that if your proposal involves banners or signs or sprinkling rose petals. This should be obvious, but please choose to kneel in a safe place. Many areas of the cliffs are roped off for your safety, and nobody wants a proposal that ends with a trip to the ER. 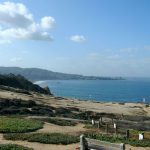 The Coast Walk is one of the overlooked parts of La Jolla, but it has incredible views and a rustic path perfect for popping the question. Points along the way get a nice amount of shade at a certain point in sunset, so you won’t have to squint while you’re kneeling. Plus, it’s right next to the Cove , which means you can look at seals to calm down after the emotional moment and then go get a nice dinner. Sunset Cliffs seems to be a popular area to propose in, so even though it’s not part of La Jolla we thought we’d include it as a bonus. (You’re welcome.) There’s a set of trails here that make for a good “scenic walk” excuse, and give you a little more variety of views to propose in front of. If you plan on going out in the water like this couple, be careful of slippery rock and plan for the tides. Once you’ve gotten a yes, check out some options for the next steps with Where to Take the Best Engagement Photos in La Jolla and The The Ultimate Guide To La Jolla Weddings.